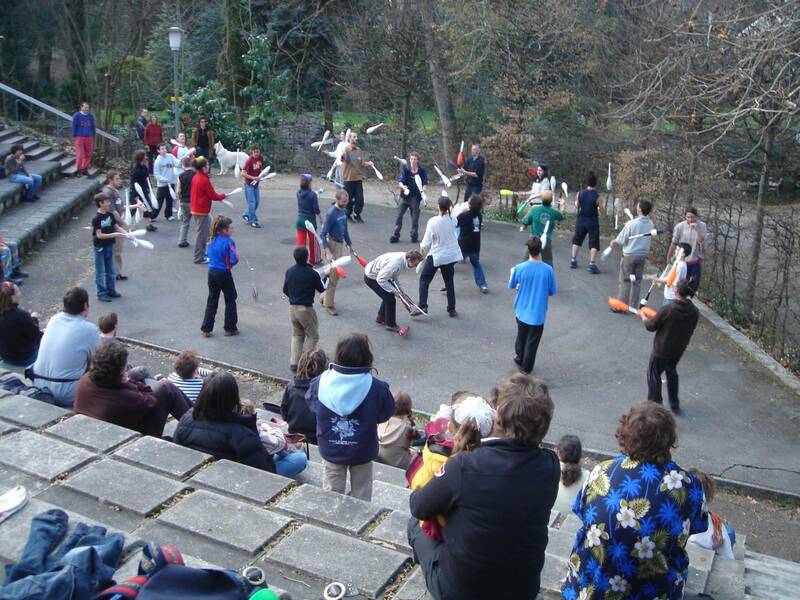 A mini Swiss Juggling Convention was held the 17/18th of March in Chêne-Bourg (Geneva). About 90 jugglers participated. Swiss conventions continues to remain simple, emphasizing human contacts over big organization and many shows or professional workshops. Another particularity of Swiss conventions is that they are free. This simplifies badges checking! Food and some accommodations have to be paid, but very cheap. 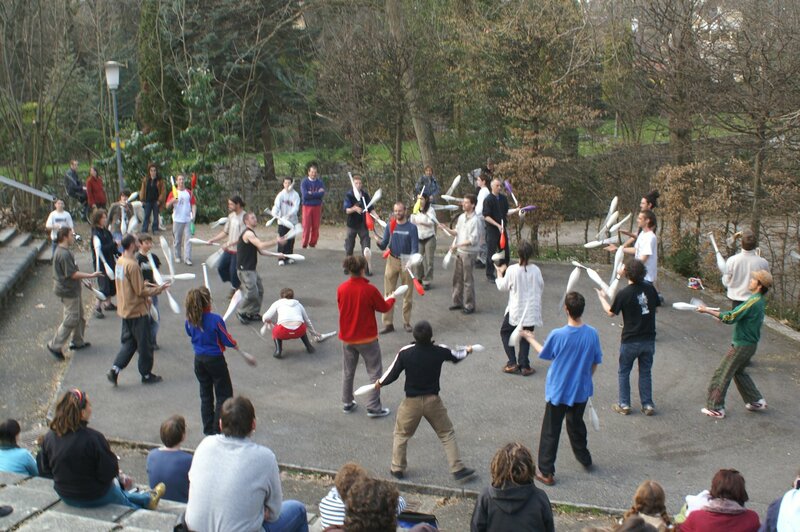 Most jugglers arrived saturday between 11 a.m. and 16 p.m.
We had plenty of room, inside or outside, a good weather, a juggling shop and many good jugglers. A public show was done in two parts. 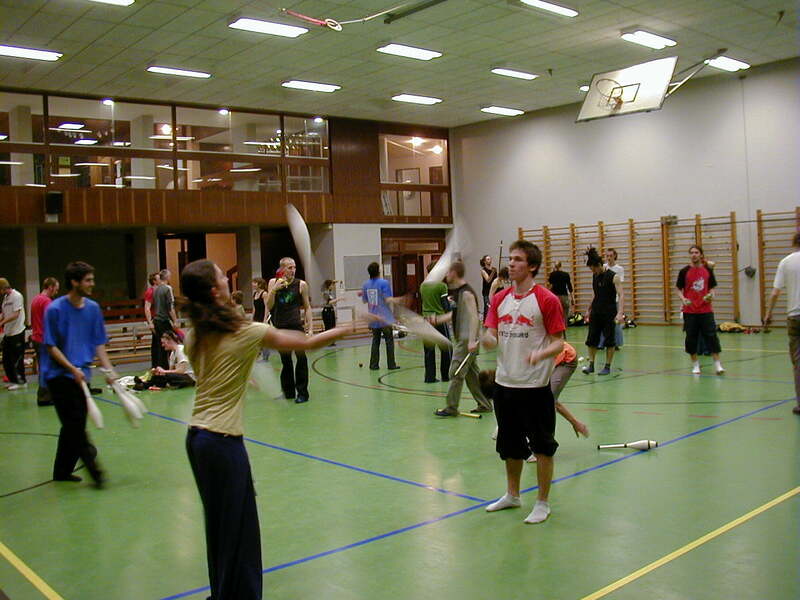 The first part was a show presented by the juggling group of geneva. 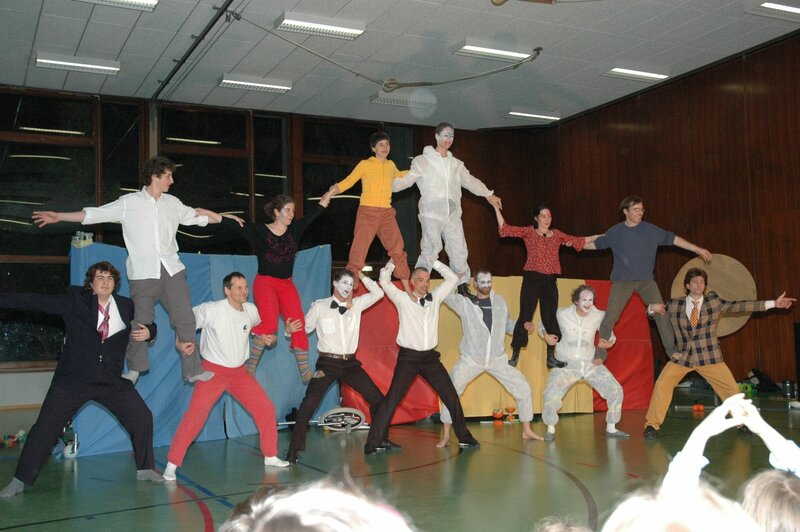 he second part was improvised by those who wanted to present some acts. Juggling continued till one or two o'clock. Sunday, breakfast between 9.00 and 11.00 a.m. 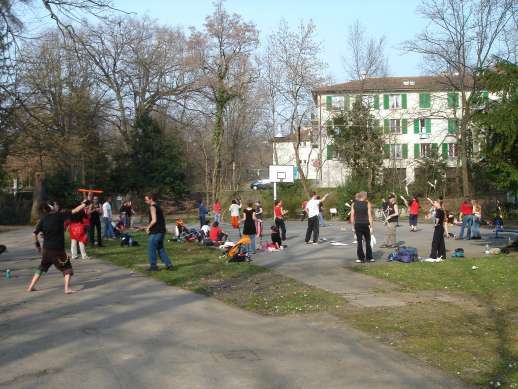 The convention ended outside in the sun with games and a lot of friendship. Some photos of the show are available here.